Sports and the changing of the seasons in the Philippines | Walk with us! Unlike India, where I found at least three channels devoted to cricket, I have not found a similar local TV dedication to a single sport. I have to admit I have not explored the entire spectrum of stations at our disposal. As in India the preferred method of reception is via satellite. I have run across both Fox and ESPN sport channels that devote time to local and international sports. Perhaps the one exception is that neither channel pays much attention to baseball, but certainly to a lot of European soccer and the NBA playoffs. Keeping up with the Brewers has not been difficult. It is a bit strange to turn on a game after coming to my room following morning prayers and breakfast. Stranger too to keep in mind the game is being played the night before according to my local time setting. 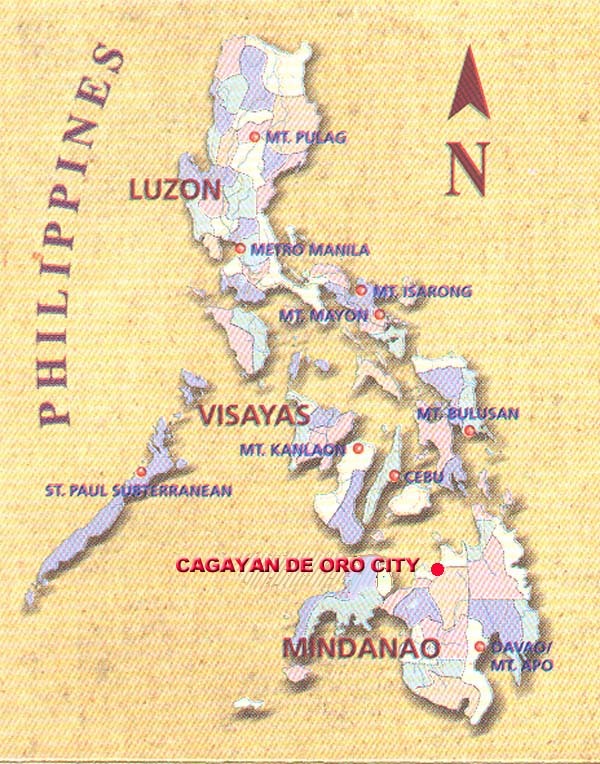 Turning to weather, Cagayan de Oro is at a latitude of 8.4833° N, 124.6500° E meaning we are close to the equator. Sunrise this morning was at 05:26 and will set this evening at 17:51. There is not much change year round so most days, the average daylight hours are just slightly over 12 (today it is 12 hours and 25 minutes). It also means there is very little twilight as once the sun goes down it is almost immediately dark. Looking ahead to May and the start of the rainy season our days will begin to cool off just a bit. Right now we are running between 32° Celsius (89.6 F) and 35° C (95 F) for highs and 22° C (71.6 F) and 23° C (73.4F) for lows. Towards the end of May the highs will hover between 30° C (86 F) and 32° C(89.6 F) and the lows will be about the same as we have presently. I was told the rains can last into October though as the summer begins to wane the rains lessen as well. The Philippines are subject to typhoons. According to the internet on average 20 typhoons enter the Philippines each year. Mindanao, as the principal island in the southern part of the country, seems to experience less major storms as most of these seem to go through the center chain of islands. The SCJs, in conjunction with a number of other religious communities, are working on a project to rebuild homes on Leyte Island for those who lost all in Typhoon Haiyan that struck the central islands last November. Reblogged this on SCJ Philippines Region.